With 2014 fast approaching, I've already made a point of getting a head start on at least one of my resolutions. Specifically, I've created a list of books that I plan on reading to build out my holistic knowledge of user experience. To quickly recap why I've amassed this list, in August of 2013 I resigned my position as a member of the Google Wallet team and returned to the +University of Washington (uw.edu) as a full-time graduate student pursuing a master's degree in Human Computer Interaction. As I progressed with the first quarter of that degree program, I realized that I would more than likely benefit from supplementing the knowledge I was gaining in a classroom and studio setting with books I had identified as being important to my personal learning goals. That list took on an initial rough form in a google docs spreadsheet before I transitioned it over to a goodreads bookshelf because I found the tracking mechanisms on +Goodreads to be easier and more social. I had also explored using a Google Books bookshelf to track the reading progress I made but the user experience offered by Google's legacy books product leaves a lot to be desired as well. I still use the Google Books APIs to power the general bookshelf I have attached to my website, but for purposes of tracking my progress it unfortunately didn't hold up feature-wise. I assembled my list from a wide variety of sources. Certain teams at Google maintain lists of useful books, user experience and otherwise, that can be used as a resource to onboard Nooglers. I drew heavily from those resources before leaving Google to build out the foundation of what I wanted to read. Additionally, Quora has no shortage, of excellent posts about, great user experience books and resources. I leaned on some older posts by +Jeffrey Zeldman to fill-out the more technical titles on my reading list. 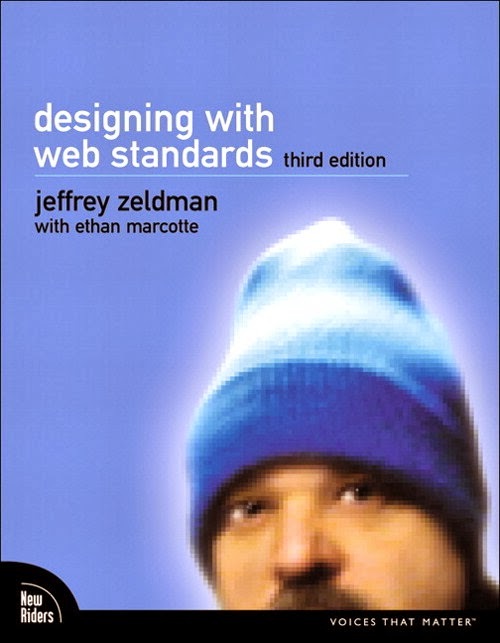 Of course, no user experience reading list would be complete without Zeldman's Designing with Web Standards which I also recently finished reading. Scouring twitter also paid out dividends. Additionally, I also reached out to several professors at UW I really respected for their professional opinions on user experience and design books they had found influential. Some of the titles I'm especially excited about reading. After getting about halfway through Steve Krug's Don't Make Me Think and absolutely loving it, I realized he has a third edition coming out in January. I reluctantly shelved that one for now and plan on returning once the newer edition has been released. It is my intention to keep my reading status updated on Goodreads and to post blog entries after reading each title to outline what I found to be the major takeaways presented by each author. If everything goes well, I'll have a least half of this list read by June of 2014. At any rate, I'll be keeping you all abreast of the progress I make between now and then. If after having looked at my reading list you see a book you found to be influential is missing, please email me and I will update my list and blog entry accordingly. Posted by Patrick Dugan on December 27, 2013 .